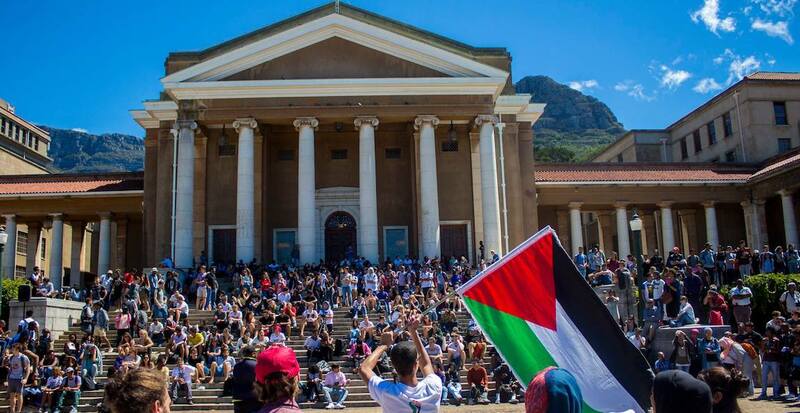 Update: On Saturday, the UCT council declined to adopt the resolution of a full academic boycott of Israeli institutions, which was passed by the Senate earlier, choosing instead to send it back for an assessment process. George Pearson Smith, American biologist and Nobel laureate, has written an open letter to the University of Cape Town’s council, in support of the call for it to sever ties with all Israeli academic institutions. I am an emeritus professor of biological sciences at the University of Missouri and one of the recipients of the 2018 Nobel Prize in Chemistry. However, I’m writing to you as a member of Mid-Missourians for Justice in Palestine and a long-time supporter of the 2005 Palestinian call for Boycott, Divestment, and Sanctions (BDS), including the Palestinian Academic and Cultural Boycott of Israel (PACBI). In that capacity, I urge you to approve the UCT Senate resolution of 15 March that would commit the university not to â€œenter into any formal relationships with Israeli academic institutions operating in the occupied Palestinian territories as well as other Israeli academic institutions enabling gross human rights violations in the occupied Palestinian territories. I remind you that BDS is modeled on, and inspired by, the worldwide boycott and divestment campaign against South African apartheid, and thus indirectly the 1955 Kliptown Freedom Charter. The shocking parallels between Israel’s regime of subjugation and dispossession and South African apartheid are glaringly apparent to anyone who looks upon the regime with an open mind. Eminent U.S. professors Richard Falk and Virginia Tilley have argued that the Israeli regime conforms in all particulars to the generalized definition of apartheid as a species of crime against humanity under customary international law. As in the Freedom Charter, BDS’s foundational commitment is to freedom and equality for all people who belong to the homeland, including Israeli Jews as well as Palestinians. It is not a movement to replace Jewish ethnic sovereignty with Palestinian ethnic sovereignty. The BDS call provides a way for the global community of conscience to join the struggle for democracy in Palestine. In South Africa, we could not have achieved our democracy without the help of people around the world, who through the use of nonviolent means, such as boycotts and divestment, encouraged their governments and other corporate actors to reverse decades- long support for the apartheid regime, commented Archbishop Desmond Tutu in 2014. The same issues of inequality and injustice today motivate the divestment movement trying to end Israel’s decades-long occupation of Palestinian territory and the unfair and prejudicial treatment of the Palestinian people by the Israeli government ruling over them. ‘The Doors Of Learning And Of Culture Shall Be Opened!’ begins one section of the Freedom Charter. That those doors be opened in Palestine is a particular focus of the resolution before you, and of PACBI in general. Israel’s military occupation of Gaza and the West Bank, including East Jerusalem, severely curtails Palestinian academic and cultural freedom. Children and young adults, along with their teachers, regularly encounter checkpoints or belligerent settlers on the way to school and college. Colleges are frequently subject to closure. Schools are sometimes demolished along with their surrounding villages to make way for new Israeli settlement developments, as is threatened for example in the case of Khan al-Ahmar. Israeli academic institutions are deeply complicit in this and the many other abuses of human rights that characterise the Israeli regime. Opponents claim that the Senate resolution calls for curtailing the academic freedom of Israel, something that any academic institution should find abhorrent. This claim is false: the resolution would end formal relationships with Israeli academic institutions operating in the occupied Palestinian territories [or] enabling gross human rights violations in the…territories it is complicit Israeli institutions, not Israeli scholars, that the boycott seeks to ostracise. In sum, I hope that the Council will approve the Senate resolution, and in so doing take its place alongside so many other South African institutions and people in the global effort to bend the arc of the moral universe toward justice. George Pearson Smith is the Curatorsâ€™ Distinguished Professor Emeritus of Biological Sciences, and a recipient of the Nobel Prize in Chemistry.